Kim Baldonado is a six-time Emmy Award-winning reporter for NBC4 Southern California. She can be seen on the NBC4 News at 11 a.m., 4 p.m., 5 p.m. and 6 p.m. Joining the station in 1995, her most recent news stories can be seen here. Follow her on Facebook here. As a well-respected journalist, Baldonado is equally comfortable reporting live on breaking news as she is on feature pieces, which she also writes and produces. Baldonado is known for tackling complex issues in her news stories. Her exceptional writing and storytelling are always presented in a thought-provoking way that informs and educates. She has been honored for taking on such topics as the state of public education in Los Angeles and the changing face of homelessness in Southern California. She is also passionate about reporting stories that are historically significant, such as her coverage of Pope John Paul II’s important visit to Cuba, which led to progress in religious freedom for the Communist nation. She also covered the Summer Olympics in Sydney, Australia and the massive Latino and immigrant civil rights march in Washington, D.C.
Baldonado began her broadcast journalism career in San Francisco. She worked as an assignment editor before returning to Los Angeles to become a field producer for KTTV; during this period, she honed her reporting, writing and editing skills which led to her first job as an on-air reporter in Palm Springs with KESQ prior to joining NBC4. 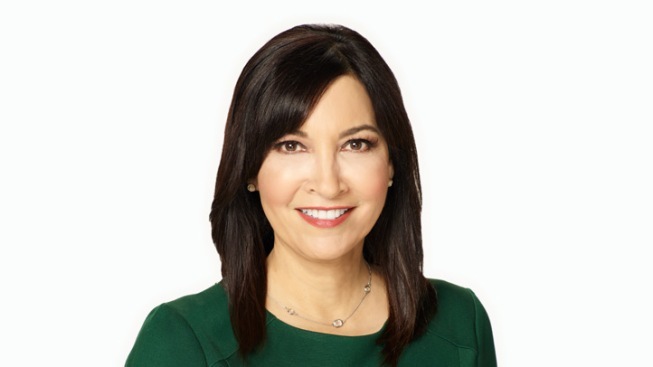 During her tenure at NBC4, Baldonado has received a myriad of professional awards. She won a prestigious National Edward R. Murrow Award for her work on the half-hour special “LAUSD: Battle for Control,” and Los Angeles-area Emmy Awards for live news coverage, social issues and education. Her other honors include 5 Golden Mikes and an Associated Press Mark Twain Award. A Southern California native, Baldonado grew up in San Gabriel and is known for her community work. She volunteers countless hours speaking to students about the importance of pursuing a college degree. Baldonado is a volunteer mentor with the Big Brothers, Big Sisters organization. When Baldonado was a student, she was a scholarship recipient of the Hispanic Scholarship Fund. She credits the organization with helping her earn a degree in Social Science from U.C. Berkeley. Baldonado currently lives in Los Angeles and is an active member of the National Association of Hispanic Journalists. If you have a story tip email her at Kim.Baldonado@nbcuni.com.